SKF has signed a three-year supply agreement, worth around SEK one billion for the new generation SKF Nautilus bearing, with a major wind turbine manufacturer. The new multi-megawatt turbine that will utilize the new bearing is intended for both onshore and offshore installations around the world. “We are very pleased that our close development cooperation with this leading manufacturer has resulted in this major order. Wind is a relatively new source of energy and it has developed into a significant business for SKF over the past few years. We are in active cooperation with leading companies within the market to develop future technology and this order is proof that our new Nautilus bearing is well accepted in the industry,” says Tom Johnstone, SKF President and CEO. 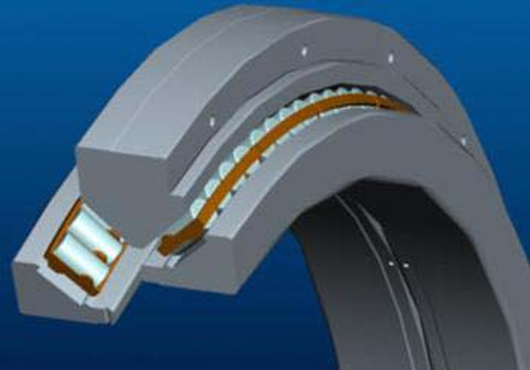 The new generation SKF Nautilus bearing was launched in April 2012 at the European Wind Energy Conference in Denmark, and is included in the SKF BeyondZero portfolio of customer solutions, which offer significant environmental benefits. Through reduced friction and improved running conditions, the SKF Nautilus bearing contributes to the reduced cost of energy, helping to make wind energy a cost-effective and affordable energy alternative.